I have now been put in a terrible dilemma. As I've tediously pursued a path of peace between all other structures, humbly accepted harsh criticism, and deeply entrenched myself and all those I'm entrusted to lead here in Texas in a now awkward ordeal. I've painstakingly strove to clean up my own structure's fumbles and reestablish a mutual trusted bond to the numerous others who speak of their fundamental views which essentially determine how the inner structures function. Surrounding us who strive for our established agendas are numerous confidential informants and rats who refuse to come out their cell cage and constantly inform to the authority on any of our attempts. Sadly these rats have been studying how we try to heal differences, and move past minor mishaps. Then when given the opportunity, these rats inject ploys which are specifically designed to cause immediate distrust and steps backwards, as it induces paranoia and causes all to erect the walls of defense. All forward progress I have made has crumbled, as I passed items to another, the booklet on freedom of information, right to communicate, and a kite of explanation. The booklets made it to the other structures, but then the kite disappeared. I had drawn the assumption they had the kite (my bad). I then moved to pass information to the structure's main spokesperson. Upon arrival of said material, he deduced I was playing and seeking to disrespect him, his creed, ethics, and morals. To avoid a verbal dispute I avoided all until it mellowed out. Then, when he approached me I verified yes, I apologized for the crossed wires, but the rats seen were at negative work and attacked both he and I by falsely filing to alter our medical diets, cell searches, and my legal requests to invoke doubt that I was attacking them, and make me think they were retaliating. This was a massive ploy instigated by the confidential informant rat. At the same time, one of them verbally threatened the rat, and mysteriously he got moved. But, due to the melodramatics the rat was orchestrating, and myself being under the gun, they believed that I initiated and instigated these ploys. So, I and all I represent are at arms. I have tried to keep honest peace between us, but due to hard heads and extreme views of subordinates they kept the seeds of hate and distrust germinating. I am designated the lead representative for mine here. All I've tediously striven to build with MIM(Prisons)'s guidance of United Front has been undermined. Now a vicious wedge has been shoved in between us and our ability to move forward. I have tried to speak, apologize for circumstances beyond my control, and offer all we can to resolve the problem. But this is the second time rats have attacked our struggle. MIM(Prisons) adds: Developing the ideas behind the United Front for Peace in Prisons (UFPP) was the first, easy task. The hard part is actually getting people to look past previous disagreements and conflicts to unite for a common interest. This comrade sheds light on one of the big problems our anti-imperialist organizers face behind bars: the same kinds of covert attacks that the revolutionary movement has faced for years from the government. While prison conditions have done much to bring LOs together to see their common circumstances, there is not much freedom to operate under such repression. It takes careful communication and education to build around these attacks. One thing that we can do to help prevent these problems is educate people about the COINTELPRO-like attacks that will happen to progressives, so that people are on the look-out and aware of what might be done by the pigs. We want to hear from the various groups and cells that have signed on to the UFPP statement. How have you implemented the principles? What progress and setbacks have you seen? How can we build on each others' experiences? Often we learn more from negative experiences. 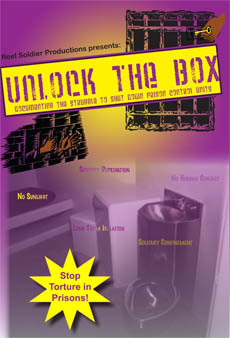 So send your reports in to Under Lock & Key. We also still welcome statements of unity from groups new to the UFPP. 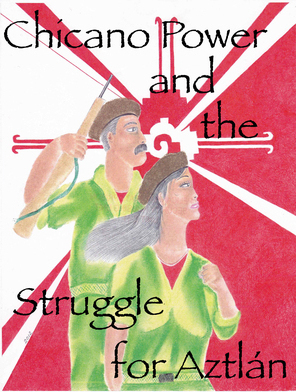 Both help us promote the United Front and the struggle for peace.